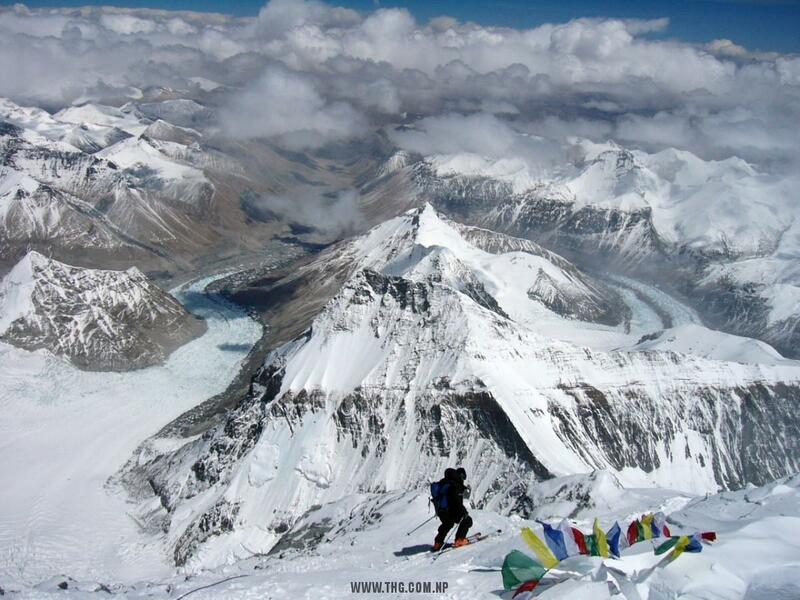 Sagarmatha – Everest Expedition is the highest mountain climb in the world and is not easy. 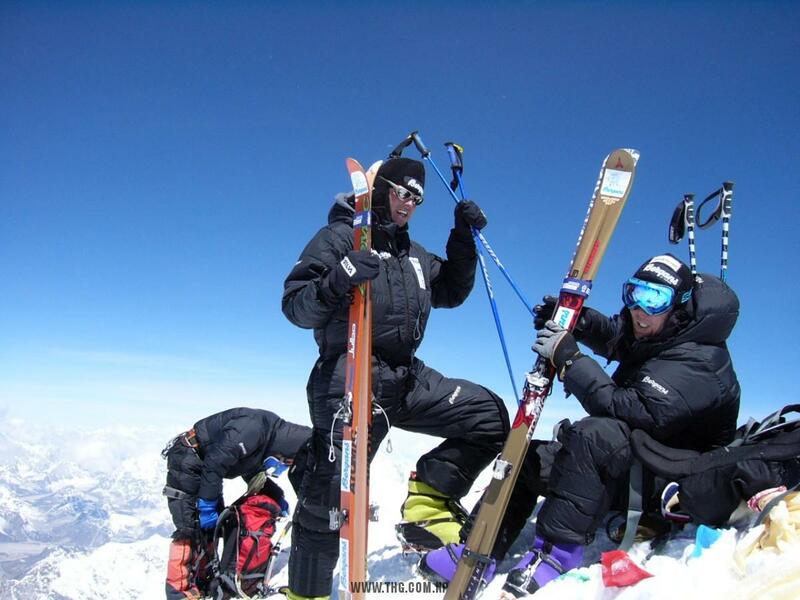 Our IFMGA certified mountain guides are multiple times Everest summiteers. Sagarmatha – Everest lies on the border of Nepal and Tibet. 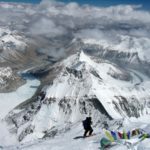 The south east ridge climb from Nepal, was the route taken by Sir Edmund Hillary and Tenzing Norgay on the first ascent in 1953. 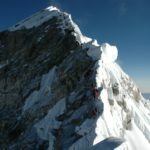 The route starts with Khumbu icefall and climbs up to South Col, from where the south east ridge is gained. This climb is from from Nepal side. 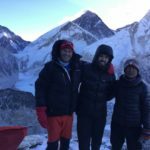 We start with acclimatization trip, flying to Lukla and trek to Gorak Shep at 5170m. Then return back in Kathmandu by day 17 before the main expedition. We drive to EBC (5150m) over 5 days taking in Zhangmu, Nyalam, and Tingri. By day 25 we set into base camp living. Over the next week we establish advanced base camp at 6380m and continue to acclimatise. Climbing to the summit starts on about day 33. We drive back to Kathmandu by day 65. Sagarmatha – Everest is the highest mountain in the world and is not easy. It is a very serious peak and bad judgement or even bad luck can be fatal. All airport transfers in Nepal, all accommodation in Nepal, breakfast in Kathmandu, sightseeing tour in Kathmandu, trekking permits, peak fees and National Park entry, porter, Sherpas and guides, all meals on trek and climb, local staff insurance. Group climbing gear such as ropes, snow stakes, protection. Group equipment such as stoves, tents, mats, kitchen gear, medical kit, medical oxygen, Gamow bag, satellite phone. International airfares, visas, transfer fees, departure taxes, excess baggage, tips to trek staff, hotels etc., personal travel insurance, lunch and dinner in KTM, personal expenses such as gifts, phone calls, laundry and alcohol, personal equipment.